What is the Student Of The Year award? 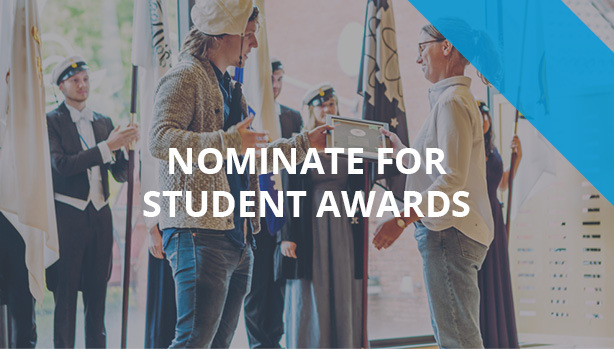 Every year a student at Chalmers is awarded for their remarkable or selfless act to improve student life for fellow students or the university. The award (10 000 SEK) is granted by Tekniska Samfundet and the judging panel consists of a member thereof along with the University and the Student Union. The variety is great; from equality work to influencing the government. More on previous winner (Swedish only). The Jury selects a winner from the nominates candidates. They are then officially announced during The Student Union Hat Cermony (Mösspåtagningen). The winner will also be announced at Tekniska Samfundets website. Closed for 2019. Winner will be announced at the end of April. Each year a student at Chalmers is awarded with the union sustainability and equality award, Eqsus! It can be anyone who did anything to include, improve, arrange, organize or stand up for other students during the past year. in or for Chalmers University of Technology. §7 The winner/s is/are awarded during the hat ceremony during the autumn.